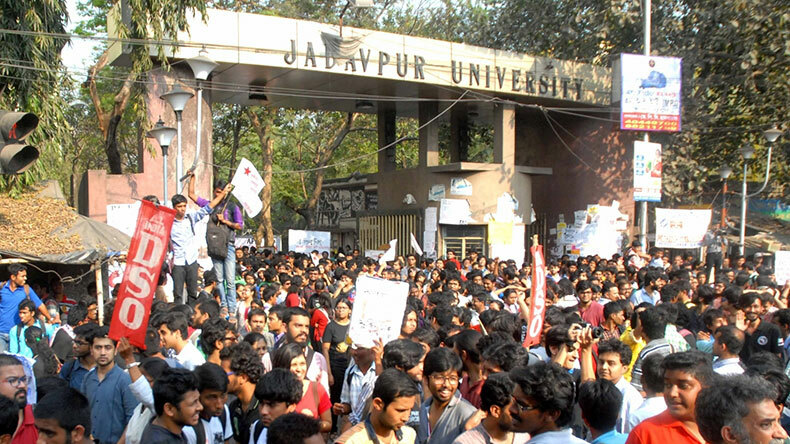 Kolkata: The BJP on Saturday accused Jadavpur University vice chancellor Suranjan Das of being a “Trinamool Congress appointee” and failing to identify the students who raised pro-Afzal Guru slogans. Das countered the flak, saying his appointment was the governor’s decision and it was not right to politicise the issue. “Despite being a VC, if you can’t identify and act against them, then it clearly shows you are working as a VC as per a political agenda. He is a Trinamool appointee and that’s why not doing anything,” said BJP national secretary Siddharth Nath Singh. Talking to the media, Das said: “I am hurt. It is not right to say such things about a vice chancellor. I don’t work politically. My aim is to do the best for the university. Meanwhile, state BJP president Dilip Ghosh asserted that if the party was in power in the state, then they would have dragged the anti-nationals out of the campus, “by the collar, be it a student, teacher or staff”. Das, however, maintained his stand of doing things according to the rules and regulations of the university. “I don’t agree with the view (of Ghosh),” Das said.